Ridley Place is named after John Hoskins Ridley (1872-1943). He was born the son of an emancipated slave in Louisburg, North Carolina. Ridley spent his early career working in the Newport News Shipbuilding and Dry Dock Company, where he rose from laborer to Chief Steward. His legacy is that of a community leader who, with others, worked to get a secondary school for African Americans in Newport News: Huntington High School. He, along with E.C. Brown and others, was one of the founders of Crown Savings Bank, a black-owned bank established in 1905. Ridley later became a member of the board of directors after Crown Savings merged with another bank. John H. Ridley Place was built in 1954 as part of the Housing Authority's East End slum clearance program which aimed to accommodate the city's growing population and encourage investment in Downtown Newport News. 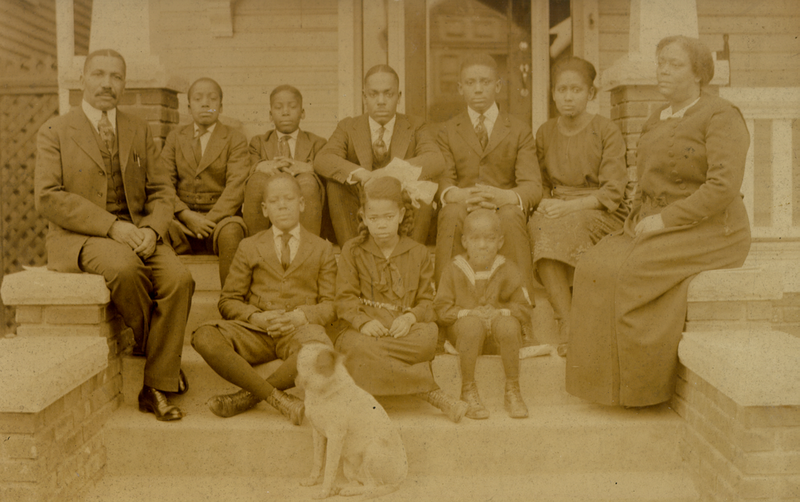 Photo: The John and Mary Ridley family, c. 1920. John Ridley was one of the founders of the Crown Savings Bank. Source: Newport News A Centennial History by Quarstein & Rouse, 1996. Ridley Place has 259 units and is located on the City bus line, which makes it convenient for shopping, schools, churches, and banks. The complex has one, two, three and four bedroom townhouse units. It is close to a waterfront park (King-Lincoln Park) and access to I-664. This complex is also located within walking distance of the Boys and Girls Club of Virginia Peninsula, Doris Miller Community Center, and Downing-Gross Cultural Arts Center.